Walkera Helicopters are the very best of RC helicopter on the market if you are an absolute beginner to radio control helicopter flying. If you are researching for yourself or perhaps you are thinking of a RC helicopter as a birthday gift or similar, these Walkeras are just what you need if you buying for a beginner pilot. The best recommended heli to start flying with would be a Walkera Dragonfly 53. This little helicopter comes RTF (Ready to Fly) and should only be flown indoors. You will quickly notice they only have counter-rotating blades and therefore do not need tail blades - less parts to break. The idea here is to practice and get used to the feel of the controls without many crash and burns. 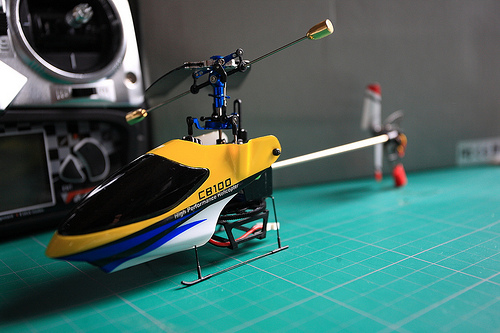 Once you are able to fly confidently, it would be a good idea to upgrade your RC helicopter. What makes the Walkera RC Helicopters so good? They are still a good helicopter to learn on. Why? Spare parts are readily available through eBay. This is good as you will quickly learn your way around your helicopter for future reference. Remember also, these little items have fast moving parts. Should one come into contact with a person or animal, it's really going to hurt so take extra care when and where you fly. Okay ready to see Walkera radio controlled Helicopters in action? Click here to watch Walkera RCs perform. As you can see for yourself, it is not all bad news when it comes to flying the Walkeras. Just start off slow and don't expect to be performing any great flying stunts. Fly like a beginner and advance from there. Return from Walkera Helicopters to Radio Control Airplane Shop. Check out these new and exciting latest RC models below.